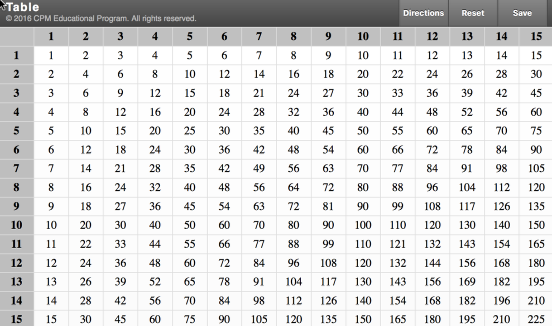 Click on the link below for the Multiplication Table eTool. 1. This eTool could be used in place of the Lesson 1.2.6 Resource Page. Click on rows and columns to highlight. Click on the cells to change color. Double click to clear a cell and/or rename a cell! Save your own table by clicking the Save button upper right corner. Bookmark the link, email the link to a friend, or post at your website.